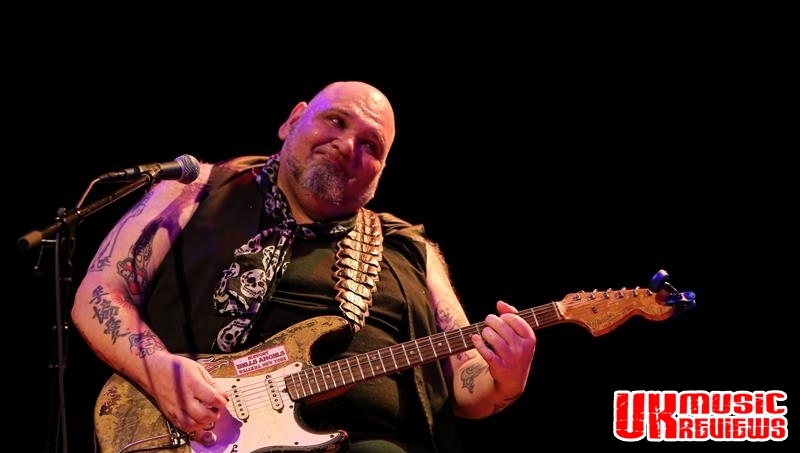 Ted Horowitz, better known as blues rock guitarist Popa Chubby, dominates any stage he is on and not because he is very tall and very wide. 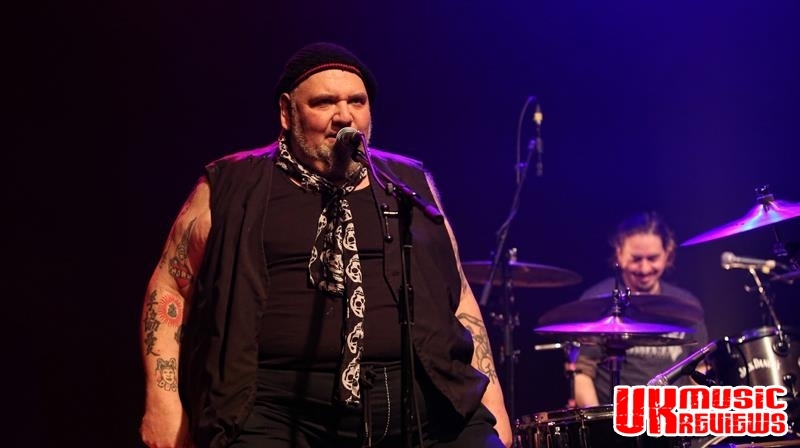 Last night at The Stables in Milton Keynes was no exception as he commanded the stage there with his awesome blues. 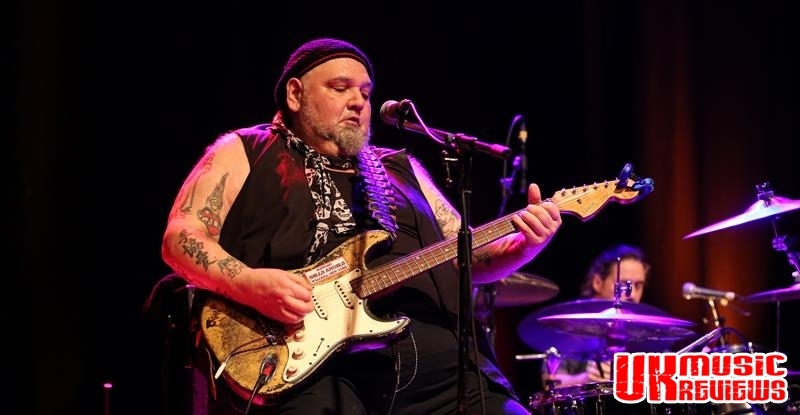 Having been playing the blues like nobody’s business for many years, he has somehow managed to elude fame and fortune. 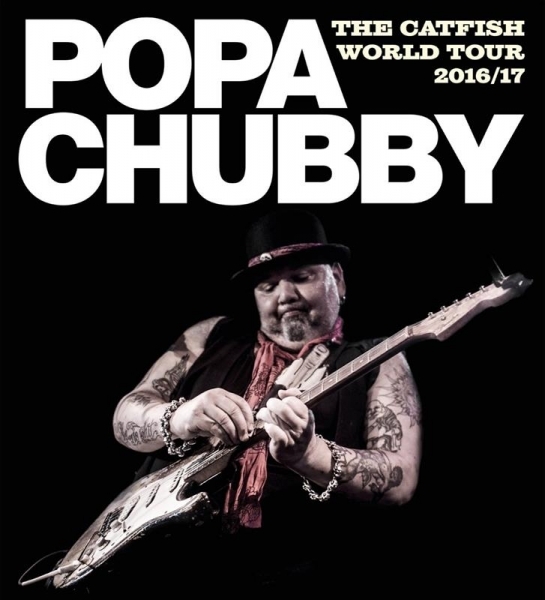 Nonetheless, those who are in the know recognise Popa as being one of the best bluesmen around today. 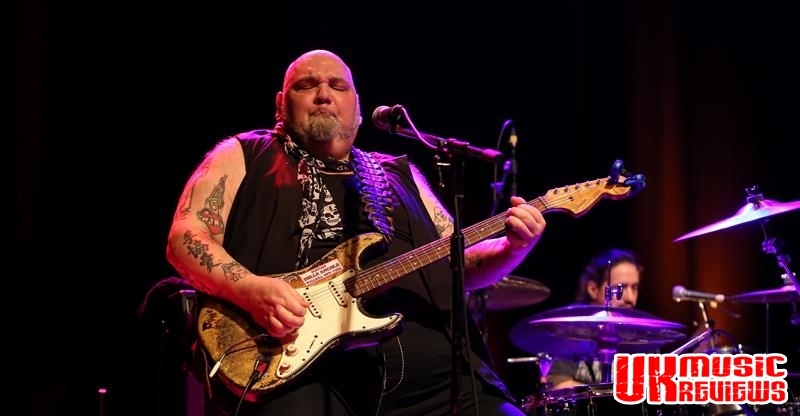 An imposing figure with a shaven head, tattooed arms and a goatee, he took to the stage to deliver the title track from his latest album, The Catfish, and from that moment the blues simply never stopped flowing. 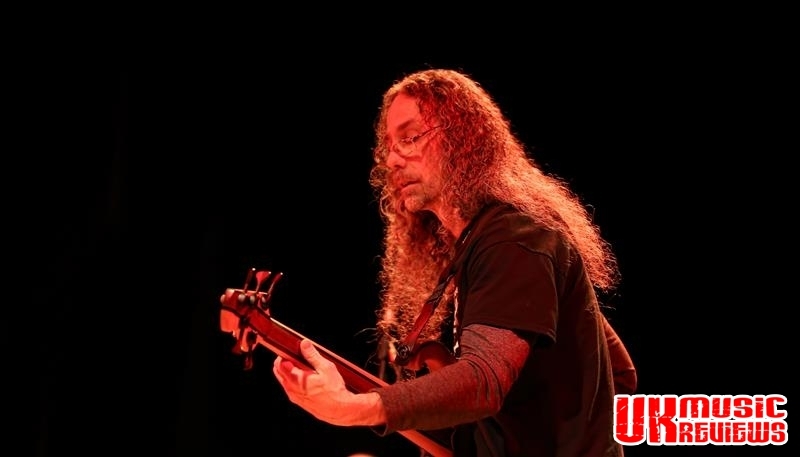 Showing his subliminal guitar skills, his tempestuous soulful playing had never been more powerful. 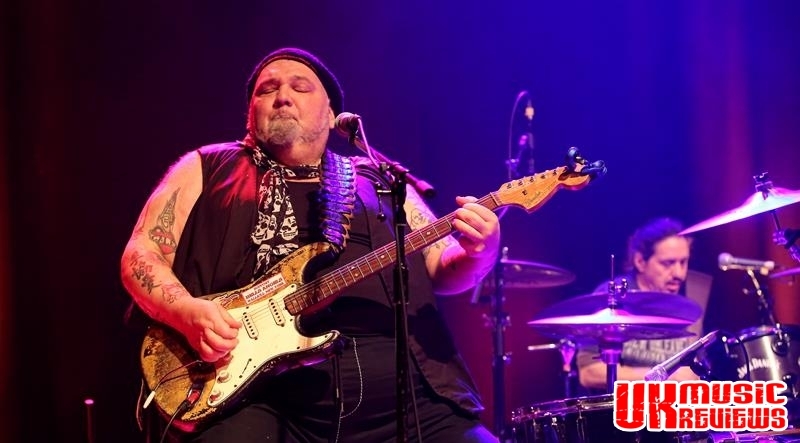 The genius of Popa Chubby, as he showed last night is how he can move from Hendrix’s Hey Joe into a delicate instrumental mash up that develops into artfully raucous numbers such as Over The Rainbow, Speak Softly Love from The Godfather and Miserlou, the theme from Pulp Fiction. Showing that he is no slouch in the vocal department, he delivered new songs, C’mon Into My Kitchen and Put A Grown Man To Shame which also illustrated his brilliant song writing. 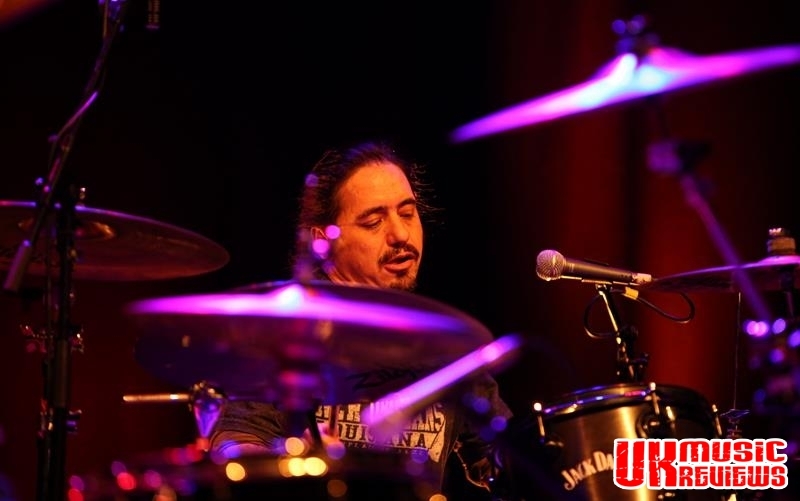 With a small drum kit at the side of him, he showed his great drumming skills when he had a drum off with band member and drummer Richie Monica in which he came a very close second. 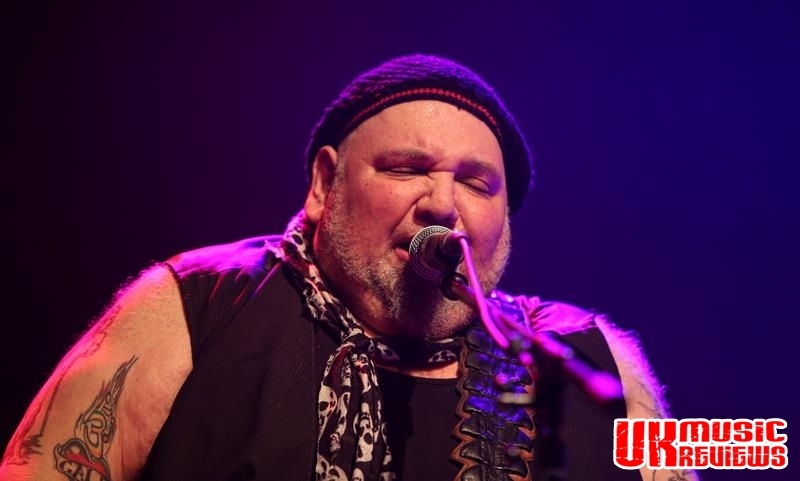 With a set list that included an unlikely reggae tinged instrumental of The Everly Brothers Bye Bye Love and a stunning Same Old Blues, Popa had really entertained this audience for an enthralling two hours. Saying that “Blues ain’t nothing but a bold man with a comb”, he was wrong. 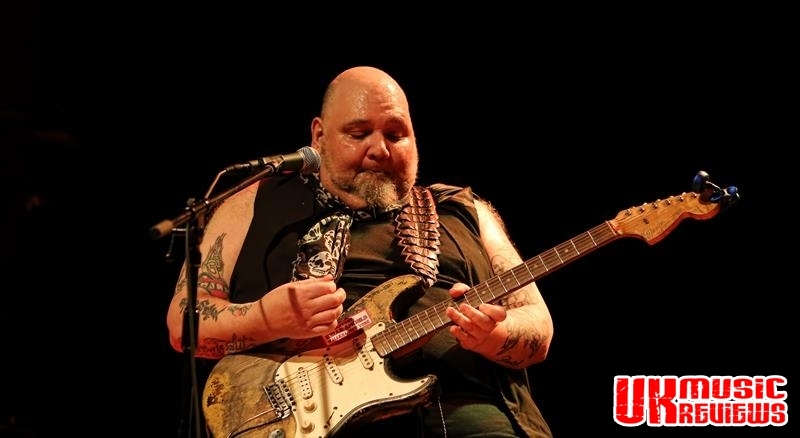 Blues is very much a big man by the name of Popa Chubby.